Why Choose Natural Stone Block Paving? Why choose Why Choose Natural Stone Block Paving?? 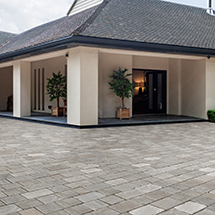 Stonemarket's range of Natural Stone Block Paving is ethically sourced, hand-selected, premium paving. 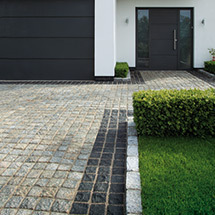 Choose from our 2 premium quality ranges Trustone and Elemental Paviors. 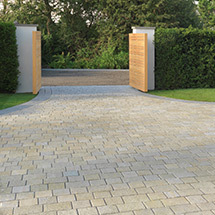 Trustone's 'antiqued' riven surface creates an elegant solution for any driveway, and is available in Fieldland, a colour shade that ranges from greyish-brown to khaki and Fellstyle, a light grey colour shade. 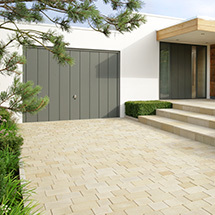 Elemental Paviors have been meticulously cut from a durable dolomitic limestone, and the driveway blocks have a lightly riven and tumbled texture ideal for contemporary and traditional settings.